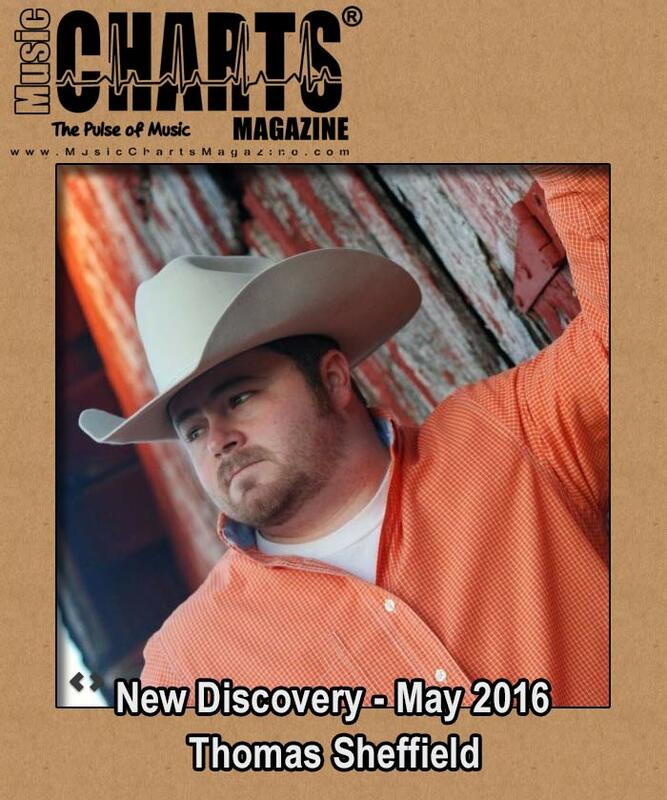 Music Charts Magazine® Presents – “NEW DISCOVERY” – “Thomas Sheffield“- for the month of May 2016. Check out this Music Charts Magazine® “NEW DISCOVERY” Interview with “Thomas Sheffield” and be prepared to be excited knowing there is still 100% awesome music out there that you still have not heard. After you listen to this great radio interview pasted below of “Thomas Sheffield” we are sure you will be glad you found this “New Discovery” to add to your music playlist. Thomas Sheffield is a young country music artist, who is country to his core. Thomas’s life has revolved around music since he was old enough to talk. Born and raised in a small town in southwest Oklahoma among a huge musical family, that is host to a slew of singers and musicians, he was destined to be on a stage with a microphone in his hand. Throughout his teenage years, he sang all over the state and competed in various competitions statewide, winning several of them. He sang with his family band at numerous events and opry shows. A few years after graduating high school and going on to work for his Dad’s business, he made the decision to uproot from Oklahoma and make the move to Nashville and pursue a career as a country music recording artist. Once he placed his feet on the ground in Music City, he started on that grind that every artist who comes to town ultimately hopes for…landing a record deal…not just yet. He has, however, had the great honor and privilege to have shared the stage and sang with many country greats like, Jimmy Fortune, David Frizzell, Leona Williams, Charlie Louvin, Lorrie Morgan, Earl Thomas Conley, Vern Gosdin and many more. 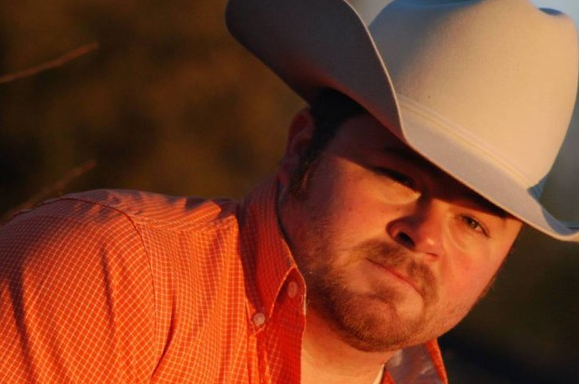 Most recently, he spent a few days on the road with Daryle Singletary’s crew and was honored when Daryle invited him out on stage to sing with him. Thomas has currently teamed up with a renowned Nashville songwriter/producer and is currently working on his debut EP, which will include 6 tracks and hopes to release it this summer. Thomas says that off the 6 track EP, he believes that, “there is something that everyone will like”. He is excited about this project and can’t wait to share it. There is no better place for Thomas than being behind a microphone, in any type of setting, singing a country song. This is when he is in his element, just second nature. He says, ” I really feel like I was born to sing and connect with audiences. The heartfelt lyrics of country songs are about our everyday lives that anyone can relate to.” Long-time music professionals have said, “Thomas is superstar material with an amazing vocal, and he absolutely has a place in country music”. Thomas is pressing onward everyday pursuing his dream of singing and playing. He plans to hit the road once he’s finished recording in the studio to play and sing wherever he can. Stay tuned for the release of his EP this summer; and keep a lookout for Thomas Sheffield performing somewhere near your area! Keepin’ Country…Country. Copyright © 2012 – 2016 Music Charts Magazine, INC – All Rights Reserved. Contents of this site including text and media may not be reproduced without prior written consent. Audio and video elements of this site are property of their respective owners and are used with permission.